I recently had the opportunity to cross our southern border and experience Hispanic culture first hand. I didn’t go to a resort or a hotel on some beach. I went to stay with some dear Mexican friends who live in the mountains of Veracruz. An unintended consequence of the trip was a view into the immigration dilemma from their side of the border. While enjoying incredible hospitality, great food, and hardworking passionate people, I also saw crushing poverty. Making an average of $60-$80/month, the locals have little hope of ever buying many of the staple comforts we enjoy in America. For many Mexicans, owning land, a vehicle, a refrigerator, TV, etc., are all distant dreams. Dreams, that is, unless they decide to make the journey to the land of opportunity. Unfortunately, many of these journeys are made illegally. I know what you are thinking…Here comes another person publicly asserting their view of the immigration crisis. On the contrary. Although I have come to love the people of Latin America, I do not profess to know how to solve this problem. Each person's beliefs and experiences provide a range of perspectives. These perspectives express a real sense of fear, injustice, inequity, or hope. What I aim to bring into the spotlight is not immigration reform. I want to draw our attention to some of the workplace difficulties that immigrants face when reaching America. Since we are a safety company that is where I will focus. The good news first. America experienced a 2% increase in workplace fatalities from 2013 to 2014 (not the good news). Latino workers, yet, experienced a 3.4% decrease. With that said, more Latino workers died in 2014 than 2009, 2010, 2011, and 2012 respectively. Additionally, a disproportionate number of foreign-born Latinos lost their lives. With the foreign-born population comprising only 35% of the total US Latino population, they accounted for 67% of the fatalities. Foreign-born Latinos are almost twice as likely to die at work than US-born Latinos. A recent study performed by “Make the Road New York”, a Latino advocacy group, interviewed a number of immigrant workers and small business owners. They found that nearly all workers interviewed believed they had worked in unsafe working conditions. They also found that half had been injured on the job and half did not know OSHA existed. Many of those interviewed also expressed a fear of retaliation or a belief that it is futile to make their safety complaints known. Additionally, many Latinos find work in the construction and agricultural sectors. These sectors have abnormally high fatality rates. OSHA recently released a report that compares the number of hours worked against the number of deaths that occur in that industry. The result may not surprise you. When compared to the national average, workers in construction were almost 3 times more likely to suffer a fatal injury. Workers in agriculture were 5-6 times more likely. While it is not possible to change what types of jobs immigrant workers are accepting, it is possible for them to have a safer place to work. For starters, let’s talk about what rights workers are afforded in the US under the OSH Act. These rights are provided to workers – without regard to their immigration status. Illegal immigrants are provided the same rights as legal immigrants. In fact, some states even provide workers compensation for injuries on the jobsite… again, without regard to immigration status. 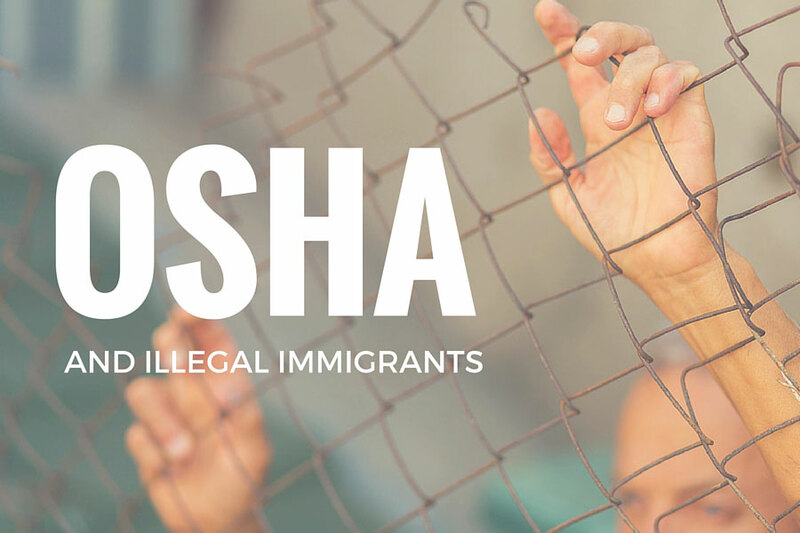 In OSHA’s eyes, it does not matter how you arrived in the US – legal immigrants, illegal immigrants, and natural citizens are all covered by this Act. 1. Awareness of rights. As I already mentioned, many Latinos who were interviewed do not know OSHA exists. 2. Education of hazards. Dangerous work is a part of life for many Latinos – both in their home country and here. Education of immediate hazards may be an obvious place to start, but many are also not aware of hazards that could pose long-term health issues. 3. Confidence that there won’t be retaliation. Back to the story of my trip to Mexico. Here is where I want to make a special plea to employers. I lived with a few of these men who had made the trip into the US. I do not condone the breaking of the law, but I understand why they would do it. Few of us wouldn't if in their shoes. If you are in a position to bless those who have left their land in search for a better life, do so. When they return to their families, make sure it is with their health intact. 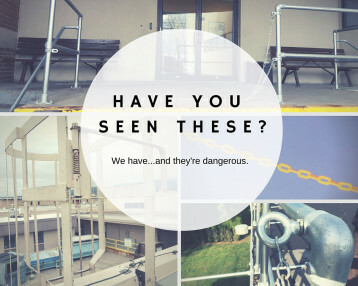 Afford to them the same safety and security that you would want. Protect their rights as sojourners in our land. I know that I am bringing up a topic that has many passionate supporters on both sides. What I hope for, though, is to find a common desire to have our workplaces safe for the dads, moms, sons, and daughters that work there. I think we can all agree on that. How would you attempt to address this issue? What additional challenges do you see? 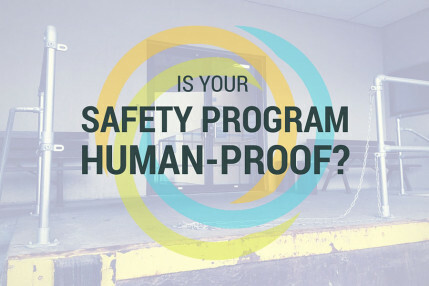 Dan's experience in the safety industry will be an asset to you and your company as you evaluate safety products and services. 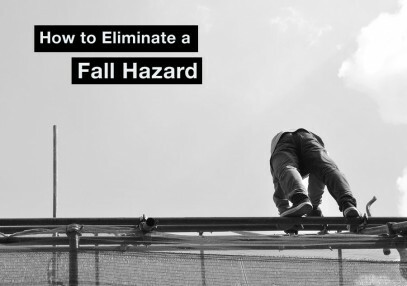 Dan has worked on rooftops across the country to help customers arrive at the ideal fall protection solution. 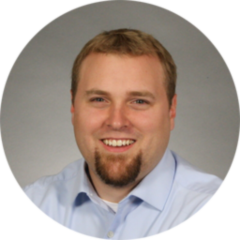 Reach out to Dan to discuss safety standards, equipment and services.